The third International VDI Conference on Smart Farming 2019 will be held in Düsseldorf, Germany, May 14-15, 2019. Smart Farming 2019 – hosted by the Association of German Engineers (VDI), one of the largest technical-scientific associations in Europe – is expected to attract software engineers and tech developers, product managers, digital officers and heads of digitization, farming app developers, and technology scouts. The conference’s keynote address will be “Precision Agriculture in India,” by James Miller, TAFE, India. “Every Drop Counts: Digital Farming Trends and a New Take on Crop Production,” Clemens Delatrée, xarvio Digital Farming Solutions, BASF Digital Farming, Germany. “From Machine Data to Better Decisions: Examples in Agriculture,” Michael Gomes, Topcon Agriculture, U.S.
“Networking and Data Usage: Big Data and Data Ownership Outline,” Corina Ardelean, AGCO Corp., U.S.
“AI-Driven Strategy for Farm Finance and Insurance,” Ron Osborne, Farmers Edge, Canada. Registration for a pre-conference international workshop, ‘Application of 5G Technology for AG-Process Automation,” is available at an additional charge. 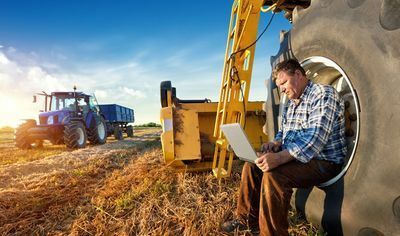 Parallel conferences on “Connected Off-Highway Machines” and “Electrified Off-Highway Machines” are available to Smart Farming attendees at no additional cost. PrecisionAg is a diversified, independent media enterprise serving the global community using precision agriculture techniques – adjusting production inputs and practices based on in-field variability, typically through use of geographic positioning systems (GPS) and other technologies. See all author stories here. Worldwide leader in precision agriculture information and analysis.